It was included with the ZENIT 122. It was the first camera lens I bought that was not from a Japanese maker. Much easier to use than expected. Because of non-engineering plastic construction, it feels extremely cheap. Being a thread mount lens, detaching and reattaching it takes some time, but not excruciatingly time-consuming. 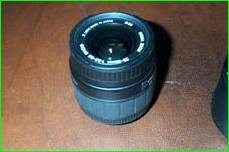 Lens itself is a rounded, modern design. I purchased it with the ZENIT E. I felt that the rounded appearance of the MC ZENITAR-M2s 50/f2 included with the ZENIT 122 doesn't match the ZENIT E.
Overall, it's not a bad lens. It was included with the ZENIT ET. 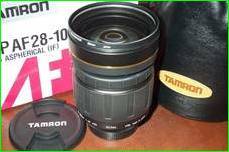 While the MC ZENITAR-M2s 50/f2 is of rounded design, this lens is of orthodox design. Moving parts doesn't move smoothly. ZENIT ET itself isn't a stress-free camera either. It was included with the PRAKTICA LLC. 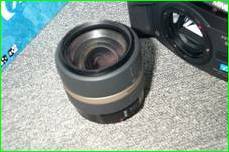 This lens was also attached to another PRACTICA LLC shown in another website. It's safe to assume that it was the standard lens for this particular camera. 1. Moving parts are relatively stiff. I purchased it with the Nikon D100. It's a huge and heavy lens, but performs relatively well. It's a huge and heavy lens. Did I mention that? Well, I'll mention it again, because it's true. It's a huge and heavy lens. 1. Enables shoots in poorly lit areas. I'll mention it once more: it's a huge and heavy lens. I purchased it with the Canon EOS7. It's a 10.7X zoom lens, covering 28mm to 300mm. I thought this was the lens that will solve all my problems, but I learned that this particular lens was far from perfect. 1. Enables shoots from great distances. 1. Quality of pictures taken with it is only satisfactory at best. This lens came with the Minolta Vectis S-1. V mount is a lens series specifically designed for APS films. Since APS is smaller than conventional 35mm, the entire line-up boasts more compactness than lens designed for 35mm film cameras. The lens quality is excellent, enabling better-than-satisfactory photos even for shoots in poor weather conditions. Lens is splash-proof, a feature that is rarely found in lenses for 35mm cameras. It was included with the Nikon F50. It was my first Nikon F mount lens. 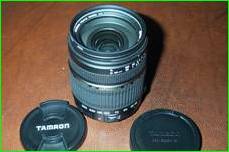 Part of the reason for purchasing the F50 was this lens.